With a lot of talk of the new Wizard101 bundles, I decided to make a blog post on my idea of a great Pirate101 bundle. 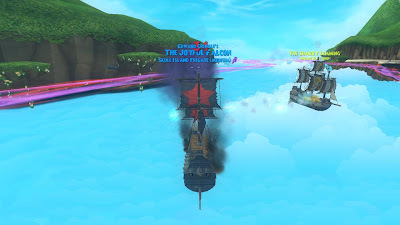 I believe Pirate101 should have the Aquila bundle since we have a world named Aquila and Wizards doesn't. 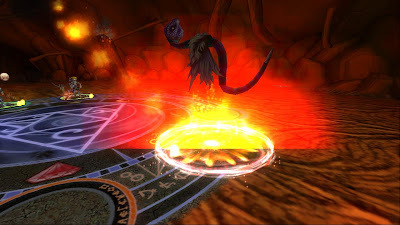 Since they have that bundle, we should have a Marleybone bundle with a few items from their side of the spiral. 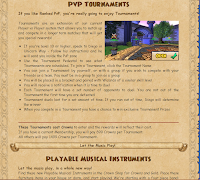 Don't get too excited, this isn't official or anything, only an idea post. Enjoy! every 50 seconds. Removes rank 1-3 Tokens. with a nice view. Or you could use it as a study, would be hard to focus! 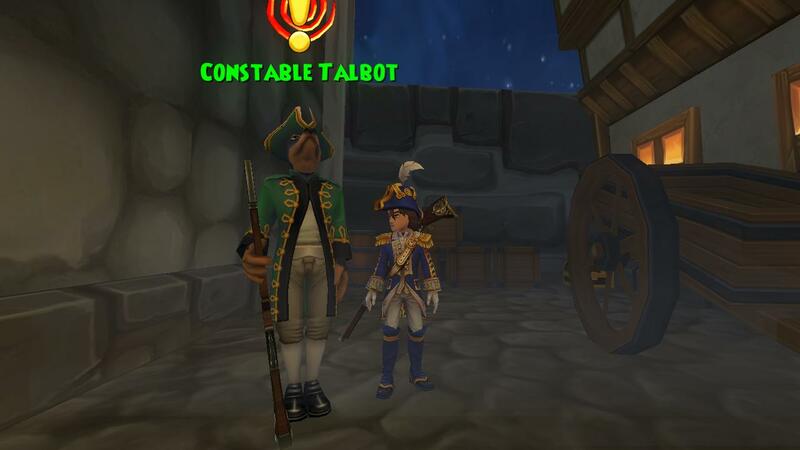 New Companion, when you get him he'll be 3 levels ahead of your level. 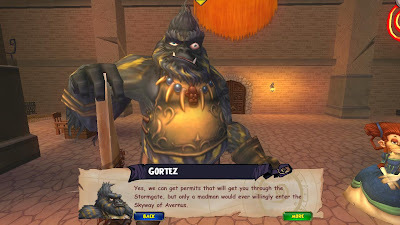 He'll also get two new epics right when ye redeem him as a gift. Greencoat! epic hit of your school. 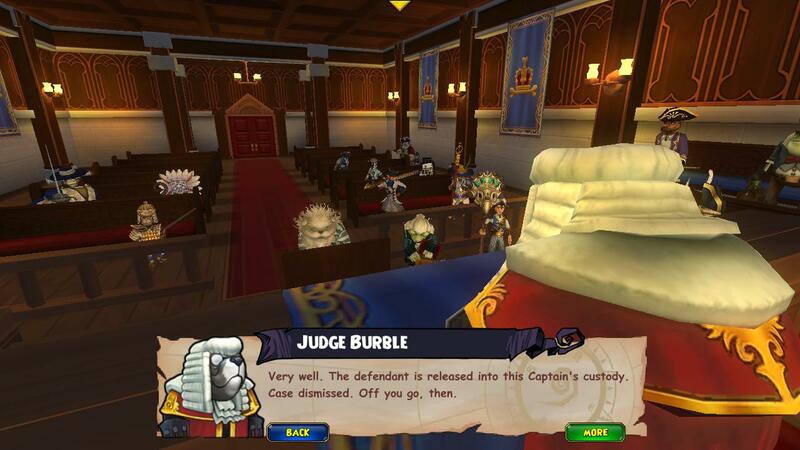 If you're a WD it'll be a WD epic hit from robe. 1-2 person mount! This is the best mount I could think of! I didn't label which was what so you'll have to read the descriptions below each picture. I think this would be a great bundle, oh the bundle includes one month membership/5,000 crowns! No it's not real, I wish it was though. We never know, maybe Kingsisle will make one. 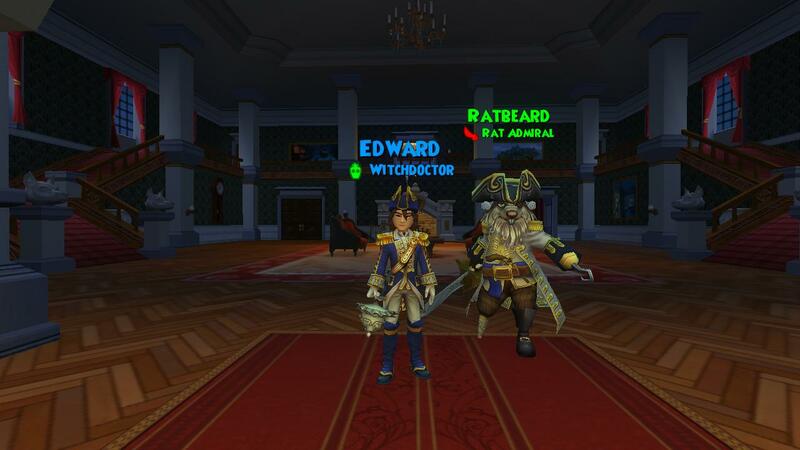 I'm hoping Pirate101 gets it though :D Just to go over the mount.. It would be a lot smaller, it wouldn't be as huge as a house. 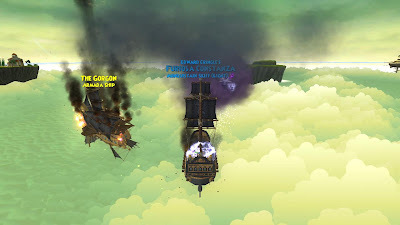 If you wanted ye could sail it through the Marleybone skyways, you would be allowed to ship battle, but most likely you would have to fight the enemies aboard. 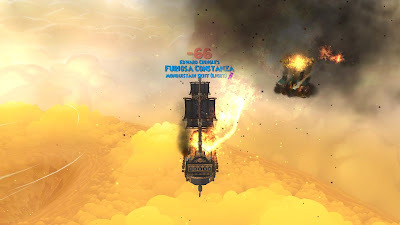 If you are wondering what a rebirth looks like you should click this link- http://www.youtube.com/watch?v=7Fhruzc5p-Q, the rebirth would be able to heal other ships also. It would only be able to heal two ships. Not four. Well that's it, I hope you enjoyed this post, I usually don't make too many idea posts but I really hope you enjoyed this post. 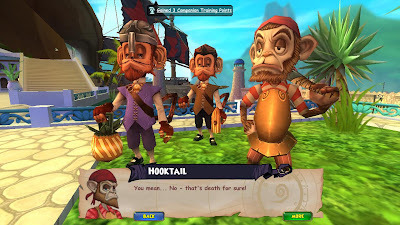 Lets hope KI does release a Marleybone bundle for us pirates on Pirate101! Oh, if I could choose a price, it would cost $40! There's another fun event on Wizard101 that will be hosted by Hunter Mythvault and Chase Lifecaster called the Wizard Hall of Fame. This event is made for Wizard101's greatest players such as Paige Moonshade, Stephen Spiritcaller, Jack Silversong, Tyler Battlewalker and Blake Blueflame. I can tell this event will be a lot of fun, and I'll provide a link/image below for more information if you would like to go. I'm also going to post a few details right here on my blog. Click the image for more information on Dress Theme and more! 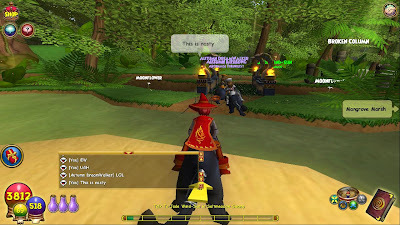 Earlier this month I made a post about Marleybone when leveling on the test realm. I thought it was difficult because of the time it took to get there and level through the dungeons. This time I'm making a post again, but it won't be the same.. This time, I have many things I'm going to write down that I love about Marleybone. Today I finally leveled through the rest of book 13 so I have been through all of the main quests. Thank you Kingsisle for a great world because I love it! What do I love about Marleybone? Everything! I love everything about Marleybone, its a beautiful world, great adventures and a very nice storyline. 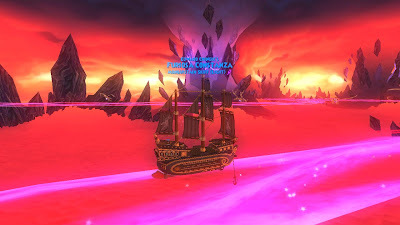 When questing through this world I thought it was sad because it was being attacked by the Armada and they were destroying it. Catbeard, of course, started this war, won't say much so ye can level through and see how. 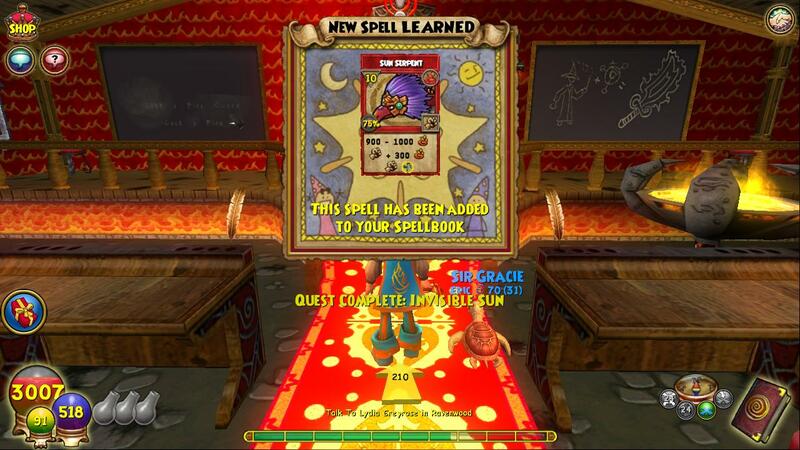 I think the first part is sad, but by the end of Marleybone it starts getting better just in time for Aquila! You're probably wondering about the dungeons entering book 13 and the beginning of book 13. 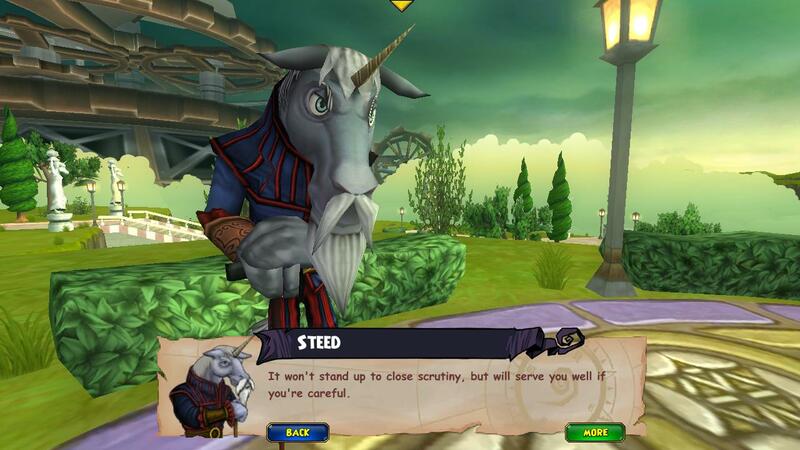 Well, they aren't as bad as they were, some fights were taken away and I believe it takes less time than it did before in the test realm. Bishop is very strong during the last long dungeon, but that's normal and will prepare ye for tough fights at the end of Marleybone and Aquila. 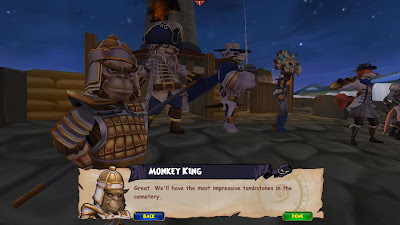 This world is my favorite world with both games, and I really want KI to know that they did an awesome job. Thank you for listening to your players and two great worlds. 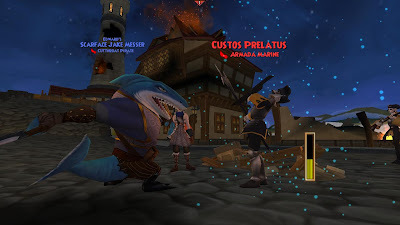 I cant wait to level through Aquila, I will make posts over my adventures there. The reason I didn't make much posts about Marleybone is because I had so much fun before I knew it was I was done with the entire world! 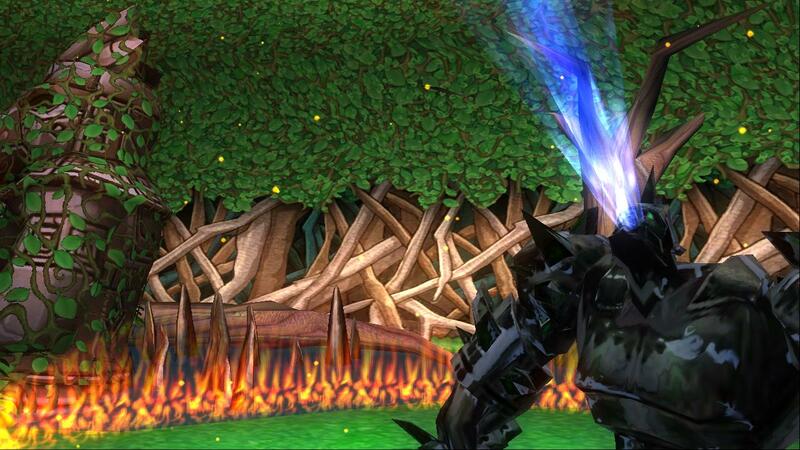 I'm ready to quest and post about Aquila. 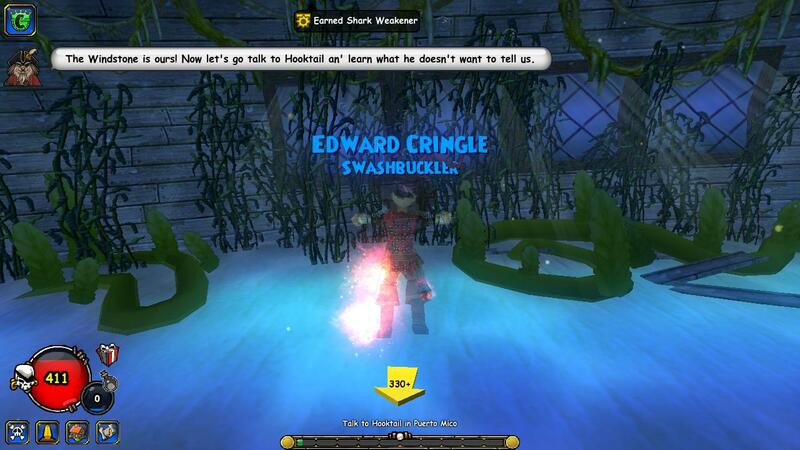 If you're a lower level player don't worry I'm still blogging about Edward Cringle. 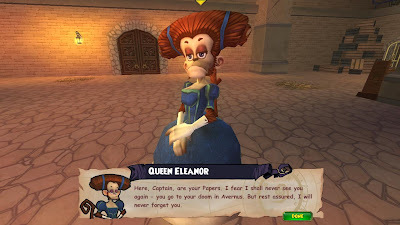 Before I end this post I have a few pictures I would like you to see. A few random pictures of my quests through Marleybone. 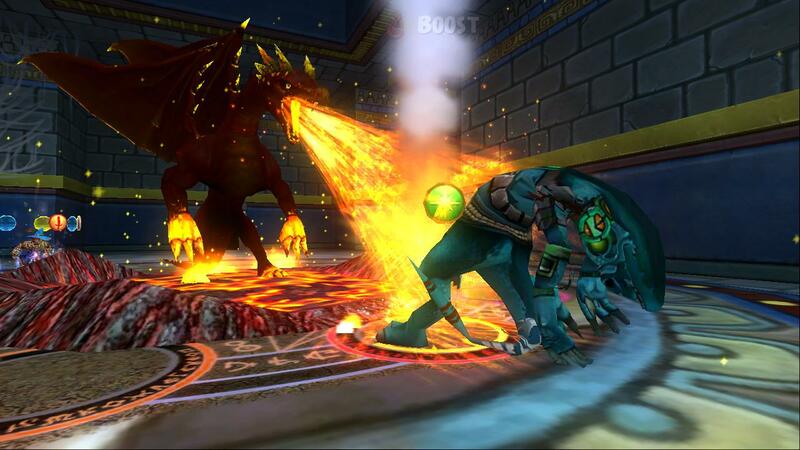 Marleybone and Aquila will be released to the Live Realm tomorrow! 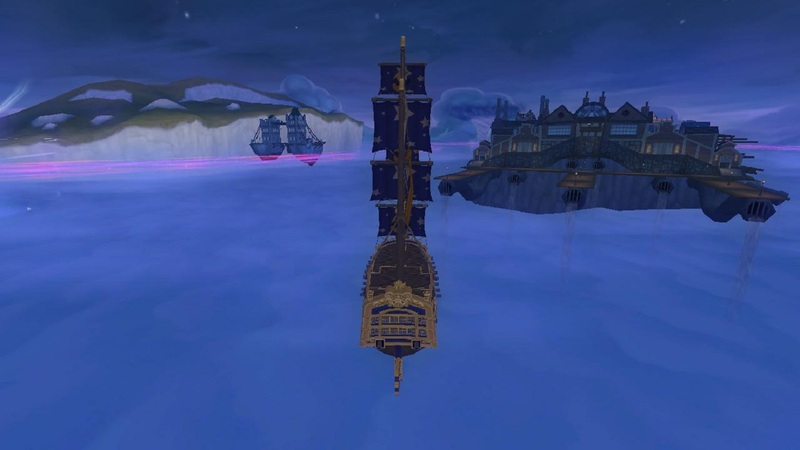 Here's a quick blog post to tell all of you that the new worlds from the test realm, Marleybone and Aquila, are being released tomorrow to the live realm. This means there will be a downtime tomorrow at 3:00-5:00 A.M. CST to apply the updates to the game. Kingsisle said there will be surprises for the crowns shop quite some time ago, so make sure you log on and view those! 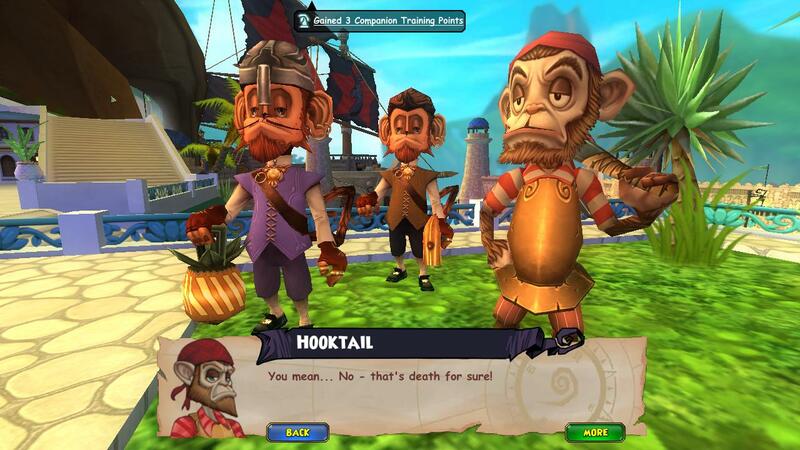 If ye haven't completed Mooshu and ye usually level late at night make sure you try to level through now. I wish all of ye good luck leveling and hope you enjoy books 13 & 14! Click on the image for the official update notes when books 13 and 14 are released tomorrow. You won't see the update notes now, you will tomorrow though! Thanks Kingsisle for the great new worlds. 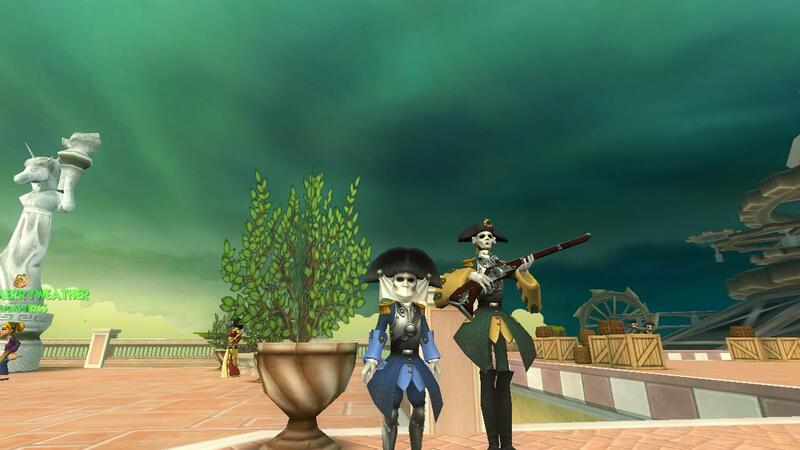 A few days ago I made a post about finally making it to Valencia, I didn't have time to quest until today though. 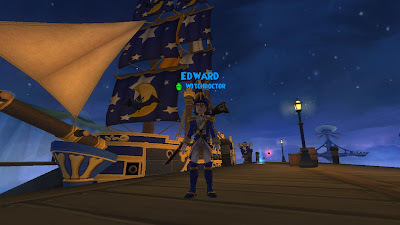 If ye haven't please read my last post, Edward makes it to Valencia. I am in Valencia looking for more pieces of the map and protecting my piece of the map from the Armada. I was given a quest to talk to a horse, Steed. It took awhile for Steed to believe I opposed the Armada,but after he realized that he said he would help me When I arrived he said me he would help me keep the map away from the Armada. He also said he would help me find another piece of map. 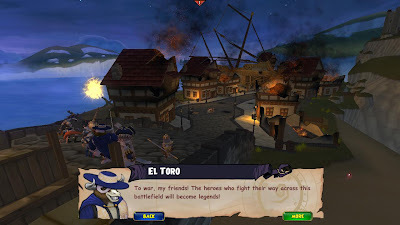 I have to travel to Sivella, an area of Valencia to find that piece of map. 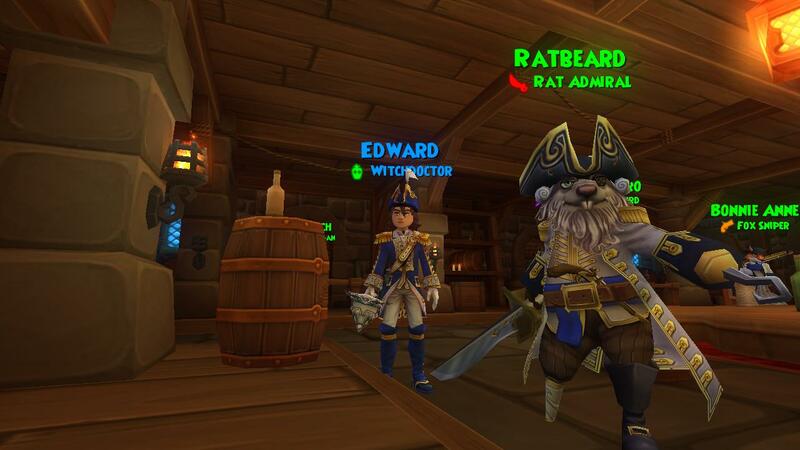 I can't make it there until I have disguise because everyone knows the Armada would recognize their worse enemy. Steed gave me a quest to fight Armada Ships to gather pieces for the disguise. Had to defeat 6 ships, I didn't have to board once. I'm loving my new ship! I'm switching over to the Armada's side. See ya later pirates! 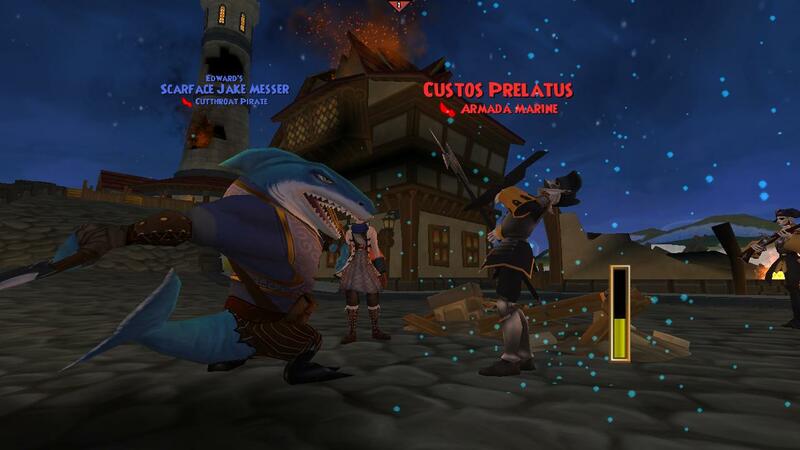 Woo, another day of questing. 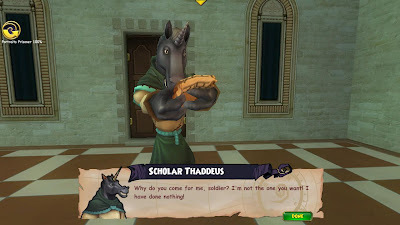 Well half a day.. Ye're probably wondering why I haven't continued my post with Thaddeus, well I'll continue another day! 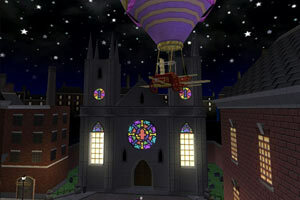 I'm going to leave ye with another hint of the next blog post! Here it is. Once again, make sure ye read yesterday's post, Closer to Valencia 2/3, before reading this one. If ye only want a little catch up keep reading! Yesterday I quested through the Scurvy Dog Hideout to find the Indigo Windstone. I fought dog pirates and a bunch of storm sharks and I finally found the windstone! After completing that quest I sailed back to tell Hooktail the good news. I still need travel papers to sail to Valencia. I now have to talk to Zenda and ask for help getting those papers so I can finally make it to Valencia. Here's my questing pictures..
Getting ready to sail to Monquista on my new Pirate Ship! 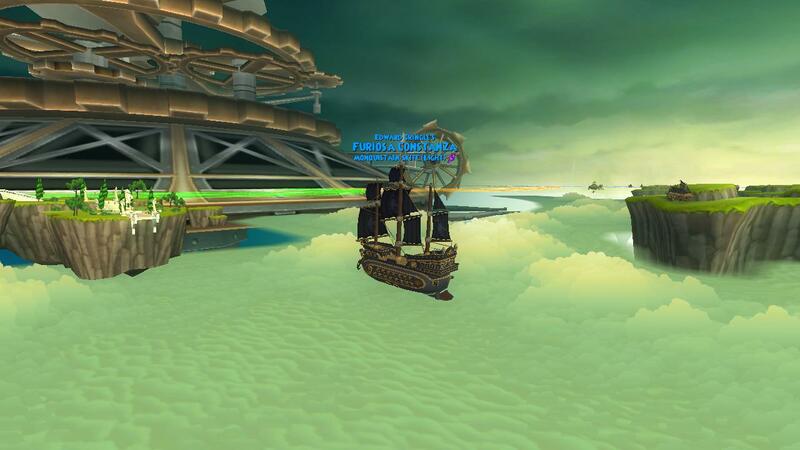 It was pretty easy sinking the ships with my new pirate ship! I have one thing left to do, pass through the Avernus Skyway. I don't think it'll be too bad, I guess I'll have to see what happens. 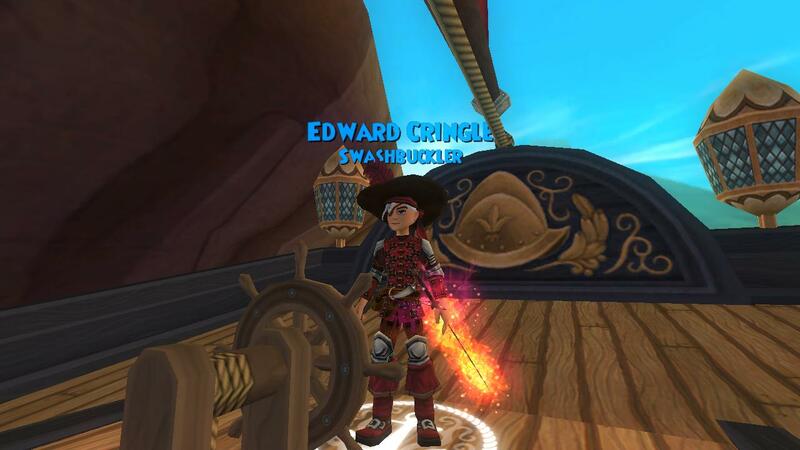 I'm one tough pirate though, no one will mess with me. Sailing through the Avernus Skyway! in Valencia. Until then, I'll see ye around the Spiral! 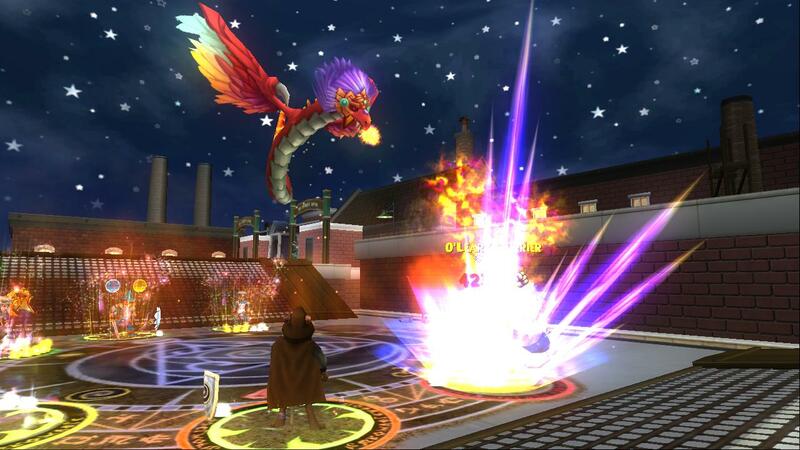 I made this blog post to only get it out to the Wizard101 community that I hate snakes! Kidding, well sort of... 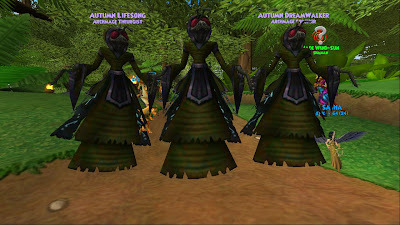 I've been questing with Autumn Dreamwalker through Azteca and I've had a great time, I'm behind on blog posts so I'll be making quite a few the next few days. Wow.. I'm still wondering why I'm blogging about snakes. I hope I don't have a nightmare tonight. I really hope to make a spider post soon, for Autumn! I guess we'll have to wait. Until then, here's picture of us questing through parts of Azteca. Lol I have no idea why I made this post, it's very random! I promise though, not all of my wizard blog posts will be like this, I have a very nice post tomorrow and I hope you read it. 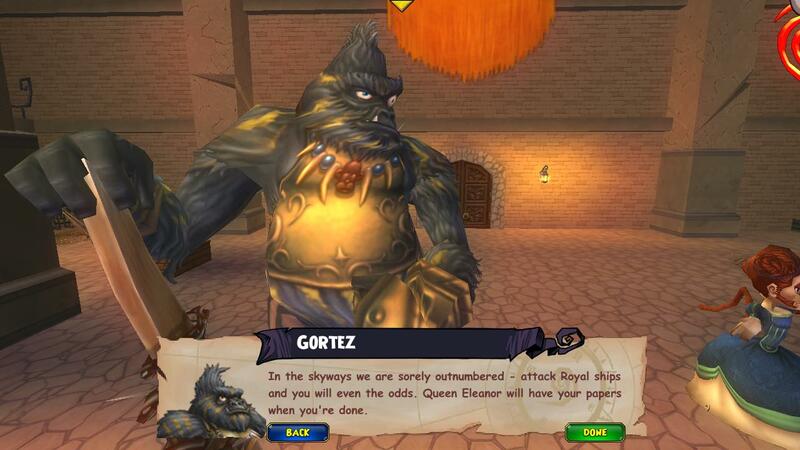 I'm glad I'm questing with Autumn through Azteca, I really don't think its even possible to solo, if you soloed you had to have help somehow from minions or very nice crown items. 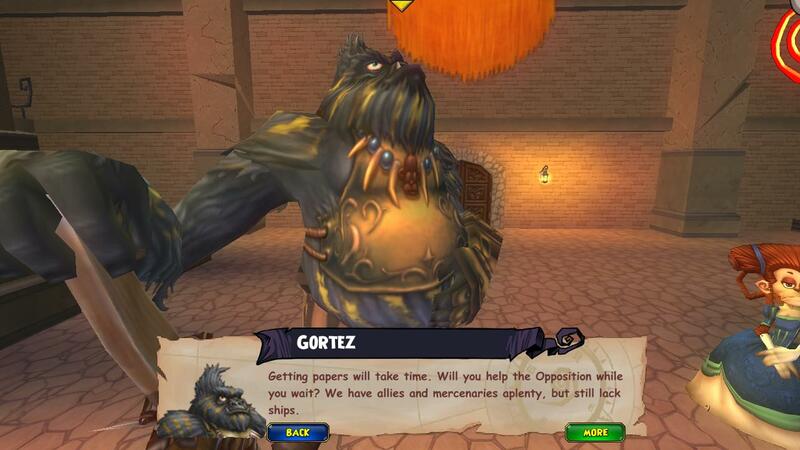 I don't think its going to get any easier throughout the end of Azteca. I hope the next world will be a little easier. I love the story line and I love that the world is beautiful. 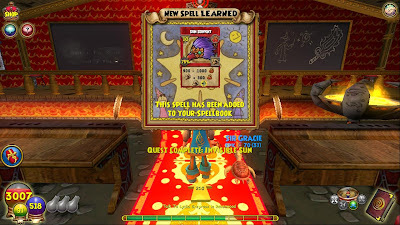 Well, see ya around the Spiral lol. If ye haven't had a chance, make sure to read my Closer to Valencia 1/3 before reading this one. 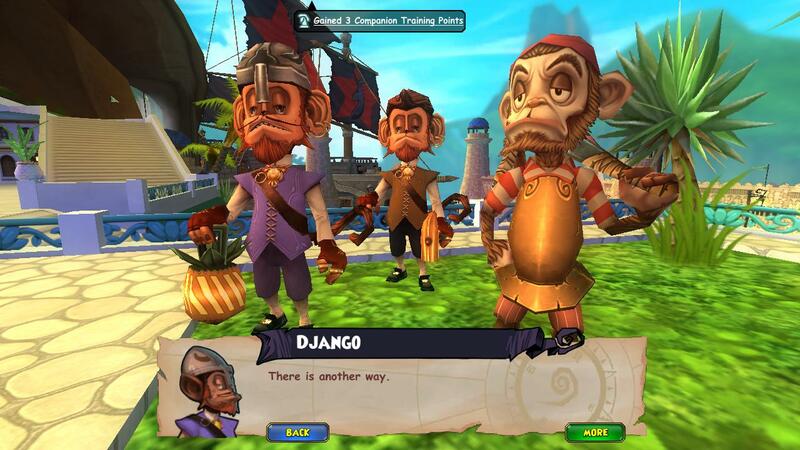 I last left off on a quest from Django to defeat dog pirates in the Scurvy Dog Hideout. I don't think that'll be too bad right? 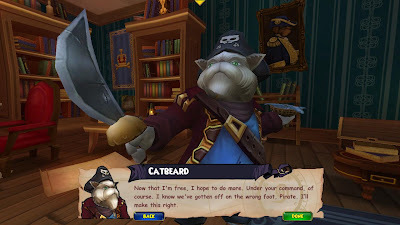 They are only dog pirates! I'm hoping it isn't as difficult as the wharf rats yesterday, wow, those wharf rat ships were hard to sink. I'm glad I finally made it through though. Here's a few pictures of my questing through the Scurvy Dog Hideout. Subodai defeating the last Dog Pirate, had to defeat 4 of them! After defeating all of the dog pirates, the dog pirates told me I had to go in the ship behind Subodai to find the Indigo Windstone. I have to find the Indigo Windstone to access the stormgates to travel to Dragonspyre and then Valencia. 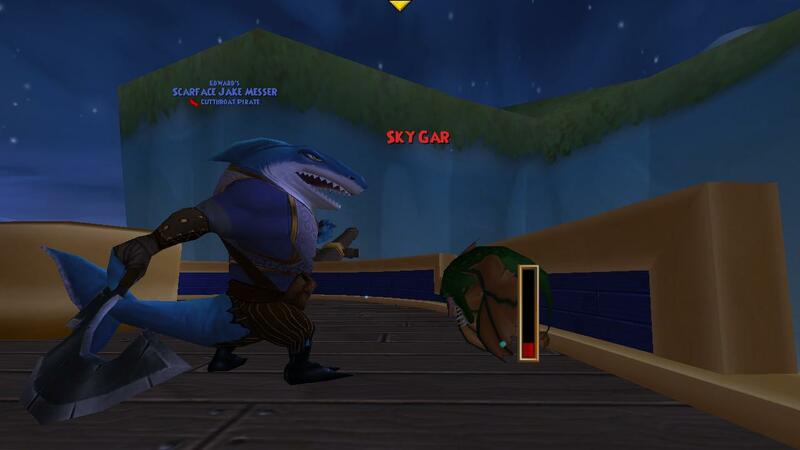 When I entered the pirate ship I found the Indigo Windstone and of course, storm sharks! 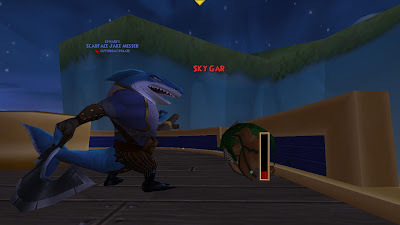 Who will win this fight? 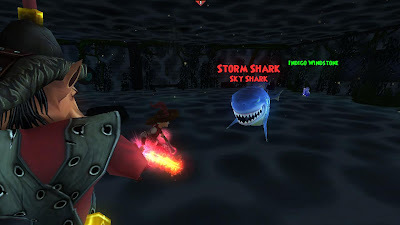 Do ye think we will or the storm sharks? That's it for today, make sure to look for the 3rd post tomorrow. Maybe I'll finally access Valencia next time. Before I end the post.. After defeating the storms sharks and getting the Indigo Windstone I went back to the three monkeys to tell them the good news. Here's the sneak peak for tomorrow's post. 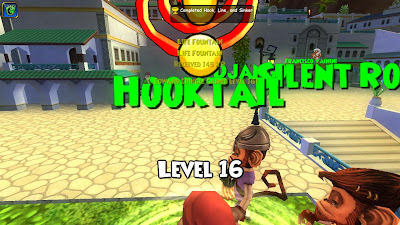 Enjoy and see ye around the Spiral! I haven't blogged about Edward Cringle's main quest in awhile so I'll catch ye up! 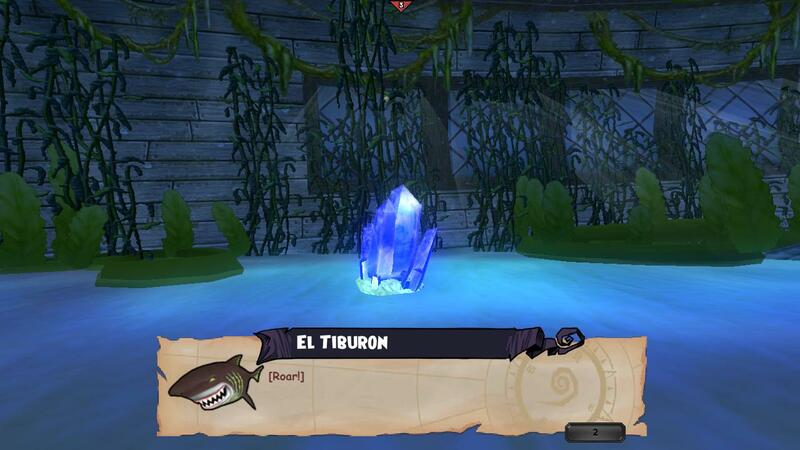 After defeating Fin, I had found the piece of map he stole from us. I went back to Avery and he gave me a quest to sail back to Puerto Mico to talk to three monkeys so I can access Valencia to find other pieces of the map. I'm starting back up now since they gave me a new quest. Edward has been side questing through Skull Island and Monquista but he's now starting to quest through the end of both worlds and he's getting close to accessing Valencia! On a few posts back you heard I had a quest to sink wharf rat ships in Tradewinds Skyway, well I finally started back on my main quest line and I had to sink 10 wharf rat ships. I had to fight the enemies on their ship since mine wasn't strong enough. 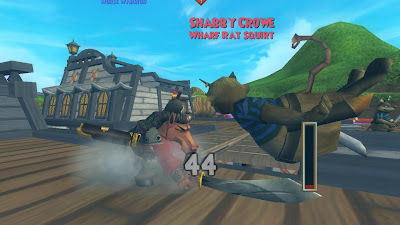 Here's a few photos of the battle with the wharf rats. 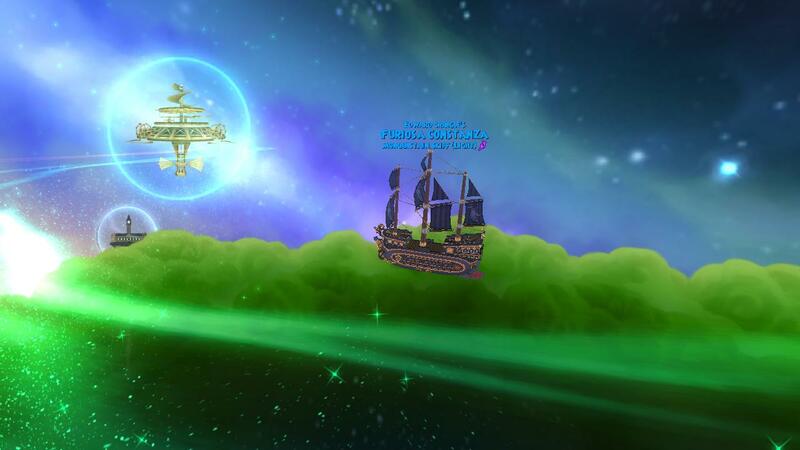 One battle fighting ship to ship combat! After finally defeating all ten of the wharf rat ships, 8/10 times I had to board, I finally completed the quest. I am hoping I don't have to defeat those ships again because fighting 10 ships that's stronger than your ship, that's some work! After its all done though, you feel good because you have more gold than you had before. 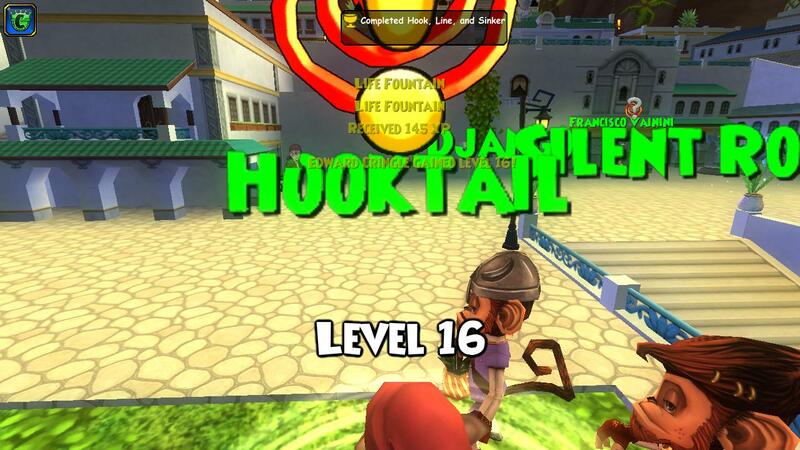 I also leveled to 16! This is a longer post than expected so I'll have to split the post up in three. 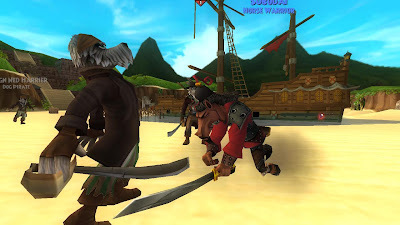 I'll post more tomorrow with the Dog Pirates and again Sunday. I hope ye enjoyed this post, keep reading for more posts, and if you would like to read my other posts, click on the link below for all of my Edward Cringle posts. See ye around the Spiral!